Over 4,300 personnel drawn from Delhi Police (2,546), CRPF (686), Rajasthan Armed Constabulary (558), Meghalaya Police (171), ITBP (132), Nagaland Armed Police (98), Sikkim Police (86) and CISF (27) have been deployed to protect 436 individuals, none of them a constitutional functionary. 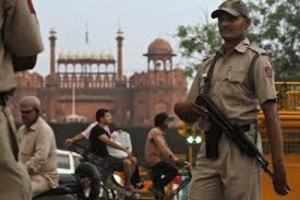 NEW DELHI: Every month, the Delhi government spends Rs 20 crore of taxpayers’ money to provide security to 436 persons, who do not hold any constitutional post and 29 of whom face criminal case, the Supreme Court was informed on Wednesday. The annual tab comes to Rs 240 crore. As against this, the government spends just a little over Rs 3 crore a month to protect the President and Rashtrapati Bhawan. The bill for providing security to holders of constitutional posts, including the President, Vice-President, PM, Lok Sabha Speaker and Chief Justice of India, comes to Rs 341 crore a year or over Rs 28 crore a month. An affidavit filed by the Delhi government revealed that 44 personnel have been deployed to provide security to “children and other family members/relatives of public functionaries”. Additional solicitor general Siddharth Luthra might find it a tad difficult, when he appears for the Delhi government, to explain to the court why “Delhi Police has provided security to 29 individuals (23 central protectees and 6 local protectees) who are facing criminal charges at state expenses”. Over 4,300 personnel drawn from Delhi Police (2,546), Central Reserve Police Force (686), Rajasthan Armed Constabulary (558), Meghalaya Police (171), Indo-Tibetan Border Police (132), NagalandArmed Police (98), Sikkim Police (86) and Central Industrial Security Force (27) have been deployed to protect 436 individuals, none of them a constitutional functionary. It also provided in sealed cover the security arrangements for the protection of home minister, former prime ministers, Sonia Gandhi and her immediate family members who have been provided Special Protection Group (SPG) cover as also former deputy Prime Minister L K Advani.